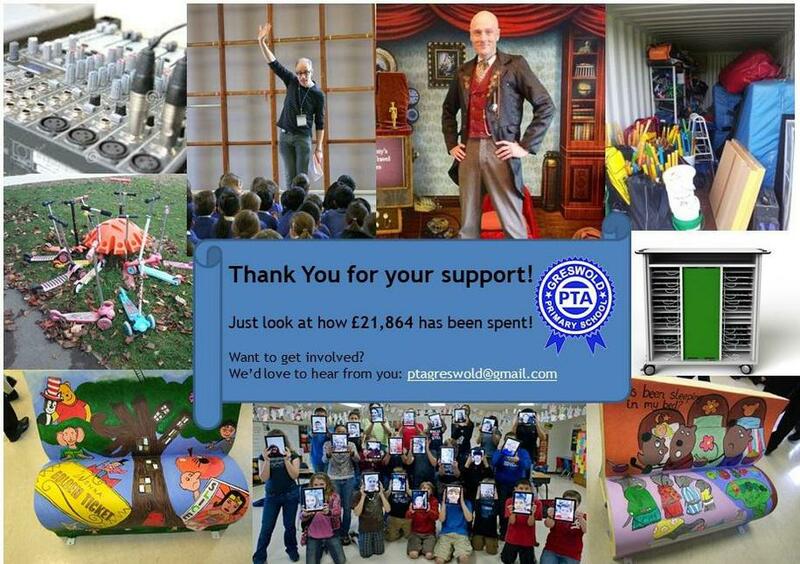 The PTA is your chance to be involved in your child’s school life and to help make a difference to the education of all children at the school. Here at Greswold, anyone can be a member of our PTA so long as they are a family member of a child at the school. We value everyone’s input and you are most welcome to attend PTA meetings whenever you can. Our principal aim is to raise funds to provide extra facilities for the school. We also seek to promote the school spirit and the feeling of being part of Greswold, through our organisation of social events for parents, pupils and teachers during the school year. We are already busy planning events for this term. See our latest update to find out how you can help. Brushing hair, collecting siblings from classrooms and straightening ties! Walk through the Solihull neighbourhood with Santa’s float - fun family event (wrap up warm!) 18:00 until 20:00 approx. Please contact us (see below) if you can help with any of these events. We’re looking for help throughout the school year, with various events that we are planning. If you can spare a small amount of your time then many hands make light work! It’s also a great way to meet new people and get more involved in what’s happening at the school. If you are interested – why not drop us an email and find out more about how you can help? We hold evening meetings throughout the year and anyone can attend. In addition there is also an Annual General Meeting, which takes place every October to elect principal officers. Meetings are very informal and usually last for an hour or so. All meetings are at 19:30 in the Lavender Room. See the Calendar for dates. You can contact the PTA via email using the address ptagreswold@gmail.com or via the contact form below. You can also contact us by simply approaching one of the main committee members in the playground.